Federal Reserve and Monetary Policy: What Do Rising U.S. Interest Rates Mean for Canada? - Inukshuk Capital Management Inc.
Federal Reserve and Monetary Policy: What Do Rising U.S. Interest Rates Mean for Canada? For the first time since 2007, Canada has a lower interest rate than its neighbour to the south, further highlighting the divergent paths of each country eight years after the financial crisis. For Canadian businesses, investors and consumers, the impact of higher U.S. interest rates won’t be felt immediately, but will become more acute as the Federal Reserve tightens the noose around monetary policy over the next 12 months. The Fed’s quarter point rate hike may not amount to much in the grand scheme of things, but stands in stark contrast to the Bank of Canada (BOC) and other major central banks, which are either lowering interest rates or keeping them ultra low to stimulate growth and investment. Back in October, the BOC came close to lowering interest rates even further from their current level of 0.5%, as the Canadian economy showed limited progress after a volatile start to the year. In the end, the central bank’s governing council chose not to ease because the “balance of risks” was still tilted toward uncertainty. 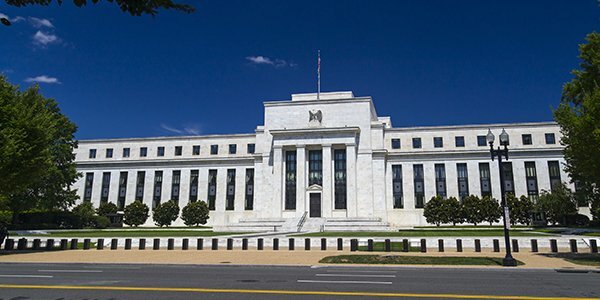 While monetary policy in Canada and the U.S. has traditionally moved in similar directions, the two countries are on different trajectories, which means their central banks will behave differently. The BOC is still in wait-and-see-mode, while the U.S. Fed has predicted three rate hikes in each of the next two years. How Will It Affect Canada? It has often been said that, as the Fed leads, Canada will soon follow. In the current environment, however, the BOC probably won’t follow too closely. Faced with high unemployment, meager economic growth and volatile oil prices, Canada’s economic picture makes it simply unfeasible to raise interest rates anytime soon. The Canadian dollar has been the main casualty of U.S. rate-hike speculation. When the Fed raised rates on December 14, the U.S. dollar surged to new 14-year highs against a basket of other major currencies that includes the loonie. The greenback is expected to strengthen further as the Fed continues to normalize policy. For the Canadian dollar, weakness may be partially offset by rising oil prices, but the outlook remains bleak. The loonie’s decline isn’t good for snowbirds and vacationers to the U.S., but could have a favourable impact on exports. The United States is by far Canada’s biggest trading partner. A cheaper exchange rate sweetens the pot even more, especially for Canadian manufactured goods. A cheaper Canadian dollar may have other positive spin-off effects, such as higher tourism and potentially stronger foreign capital inflows. Many rate-watchers are asking, will rising U.S. interest rates impact mortgages at home? While changes to the central bank rate put pressure on all types of loans as banks pass on higher borrowing costs to customers, fixed-rate mortgages are influenced by bond yields. This means factors such as inflation, investors sentiment and market performance are critical. The election of Donald Trump to U.S. president on November 8 triggered a massive rally in global stocks. It also pushed U.S. bond yields sharply higher, and as a result 30-year mortgage rates rose for nine consecutive weeks. Bond yields in Canada have been on the rise since the summer, and shifted into higher gear after the U.S. election. While inflation remains relatively tame, Trump’s election has boosted expectations for faster price growth in the future. Even the Fed identified the possibility of stronger inflationary pressures in its justification for raising rates in December. Historically, equities have tended to underperform during periods of tighter monetary policy, as higher interest rates dull risk appetite and make it more expensive to buy equities on margin. However, there is a substantial lag between the time a central bank raises interest rates and when equity markets peak. This lag could be even more drawn out in the case of the Fed, which is raising rates gradually from record lows. Although higher interest rates impact mortgages indirectly, they have a direct effect on variable-rate debts, such as credit cards and auto loans. If rates rise fast enough, stocks tied to consumers could feel the squeeze as people have less disposable income to spend on goods and services. Higher loan costs may also eat away at business spending, leading to smaller profits and weaker returns. When it comes to monetary policy, it’s important to have perspective. U.S. interest rates are still well below the historical norm, and Canada’s rates are unlikely to be affected too seriously anytime soon. But the Fed has certainly set the wheels in motion, and Canadians should be especially cognizant of what that means north of the border. https://inukshukcapital.com/wp-content/uploads/2017/01/federal-reserve.jpg 300 600 Inukshuk Capital Management Inc. https://inukshukcapital.com/wp-content/uploads/2014/11/inukshuk_logo_site.png Inukshuk Capital Management Inc.2017-01-16 16:57:062018-04-08 15:49:48Federal Reserve and Monetary Policy: What Do Rising U.S. Interest Rates Mean for Canada?